The Magnetic Fast Charging Cable is designed to make charging more simple, so you can make the most of your mobile device. 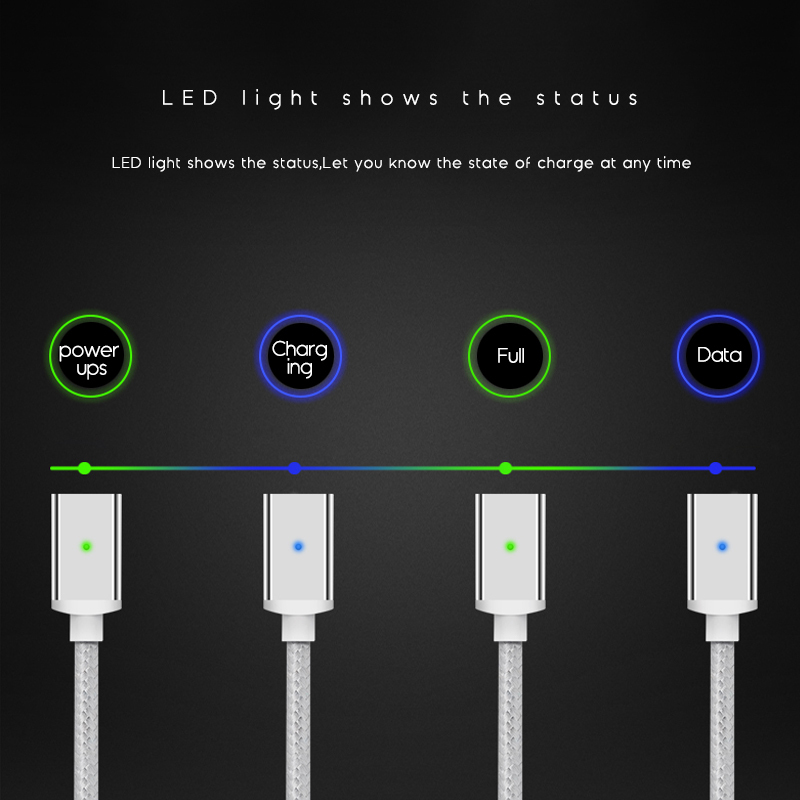 It supports magnetic connection, easy operation, and speedy data transmission. 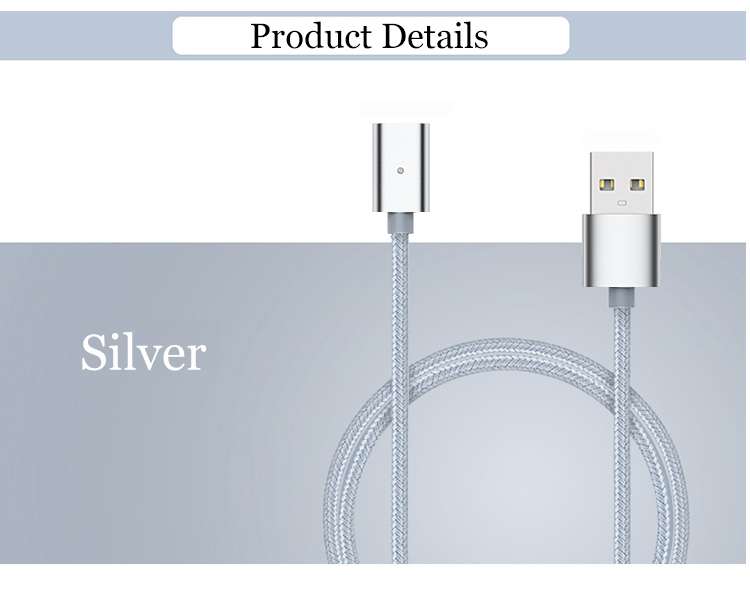 • Anti-winding braided nylon protects wiring and prevents the cord from getting tangled. • The metal connectors are made of aerospace aluminum with anti-corrosive properties. 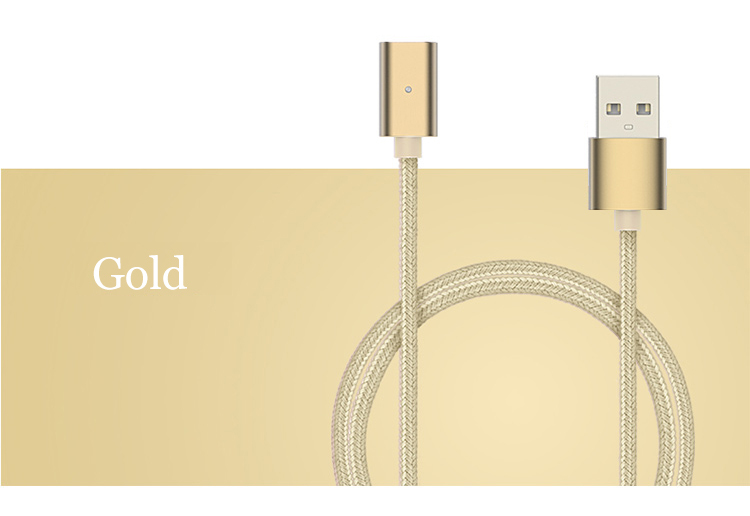 • Gold-plated interface adds more durability to the plug. 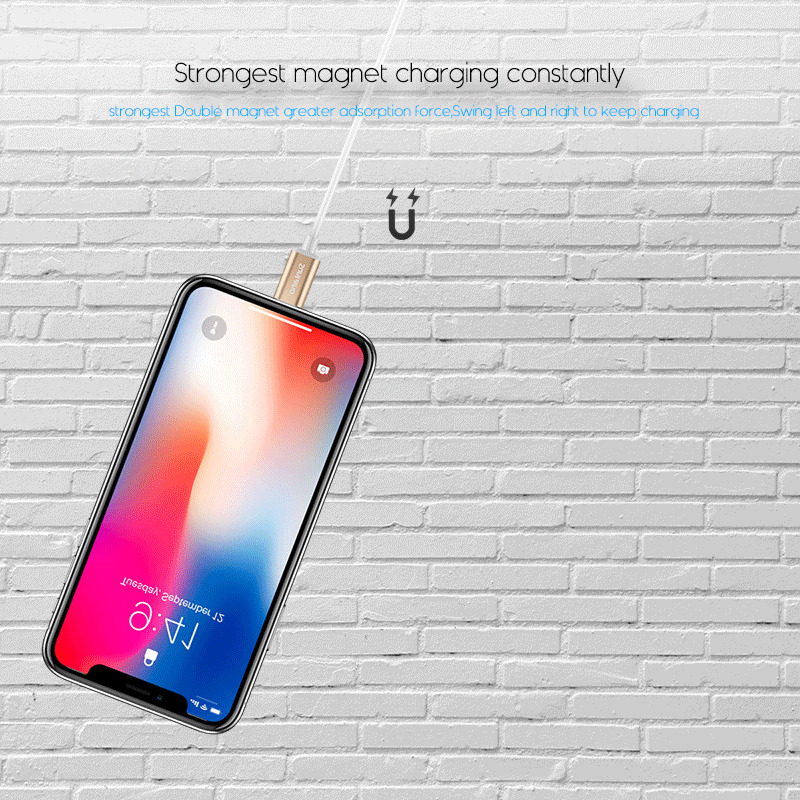 • Strong magnetic field prevents the charger from being detached from the phone and reduces the risk of damage. • LED turns on when phone is charging. • Can also be used to transfer data.